Our former Rare employee Darren Gargette has recently proven himself to be one of their biggest fans too. 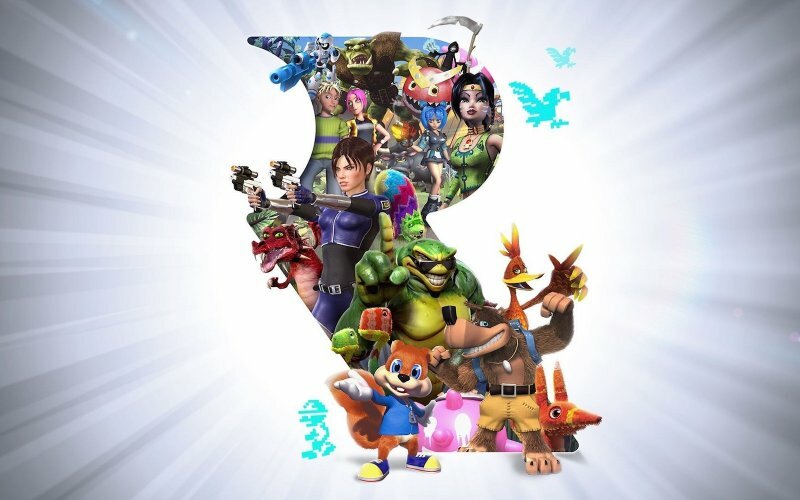 On the 28th March 2018, at about 9pm I finally earned the last of the 330 milestones in Rare Replay which is something I’ve flipped and flopped on doing ever since its initial release. 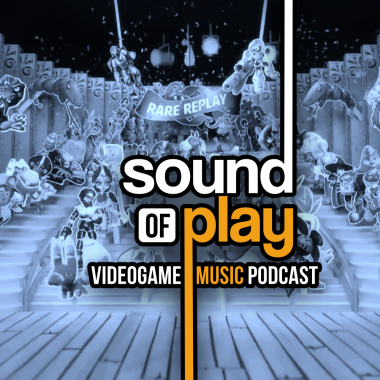 If you’re unaware of the system within Rare Replay then let me briefly explain. Each of the 30 games within this brilliant compilation has a series of milestones which are linked to achievements. Each milestone past earns you a stamp for your digital ticket, to show you how much of your hard work has gone into the Stamper Brothers’ back-catalogue. On the 21st March, one week before my success, I decided that I was going to make a hard push in a make of break style situation to finally get this done before the wonderful looking Sea of Thieves launches. What kind of “Rare guy” would I be if this wasn’t on my fictional gamer CV? I’m credited in some Rare games, I’ve hosted a Rare panel and I’ve been on more Cane and Rinse issues on Rare games than I can remember. With 13 stamps remaining, I decided to use Twitter as sort of a journal… (a micro-blog even) and also to show off when I succeeded or get warm virtual hugs from my internet pals when I failed. First off, Slalom: The “finish all courses” milestone was staring at me as the easiest. I got the best advice I could find from True Achievements and Xbox Achievements websites and strapped on my skis and braved the slopes. Easier than I anticipated and one stamp earned. The fire in my belly is real. It took me approximately a week to finally earn the 13 stamps needed to unlock the “Stampers Forever” achievement which only 0.01% of gamers have on Xbox Live, and while I could go into detail on all of the achievements I earned in Perfect Dark Zero, I’ll spare you the boring details. 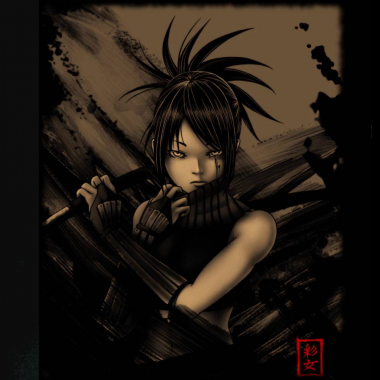 I will however share with you the slightly mad, hair-pulling, insanity-inducing details on what it takes to push through some of the most ridiculous Perfect Dark Zero achievements. As a launch title (and somewhat troubled) game for the Xbox 360, it’s no longer a surprise to Perfect Dark fans and gamers in general that PDZ is somewhat of disappointing, not even I could muster up the enthusiasm to push through the prequel to one of my favourite games of all time. It’s slow, it’s clunky and the controls feel like they were designed by someone who’s only just discovered videogames and for the longest times (13 years, in fact) I never truly understood how to play the game and that never sat right with me. Anyway, the two most ridiculous achievements I earned were “play 1000 deathmatch games” and “play 1000 dark ops games”. Right behind those we have the “1000 melee kills” and “1000 sniper kills” achievements. To survive the torment of playing TWO THOUSAND games of this (very) mildly entertaining multiplayer game, I had to setup a small TV, in a cupboard, and whenever I heard that the match was over (usually within 30 seconds), I had to restart the match from whichever corner of the house I was currently in. Oh, and I had a mirror angled enough so that I could see the screen from the kitchen… and I also kept a tally because despite it being an Xbox 360 game it has less features in the way of stat tracking than its Nintendo 64 predecessor. I even thought about hacking the Xbox 360 achievement system which is definitely an illegitimate – if temptingly easy – option, but once I started to download and research what you need to do, my gut told me that it just wasn’t the right way to go about things. Why bother doing 95% of the work when you’re going to cheat the last 5%? Do I recommend everyone do this the ‘proper’/hard way? Absolutely not. I found myself in a rather blessed and unique position of being a stay-at-home Dad to a wonderful, loopy daughter of 19 months – and only due to stress-related reasons in my life I’ve been signed off work until things slowly but surely fix themselves. This feat of endurance wound me up and even had me on the verge of wondering if the achievements were actually working at times, but the sheer joy with each and every one unlocking was something I ended up chasing. A small adrenaline rush flowed through my body making sure that any lows I felt were quelled by the motivation required to fuel my long journey . After all that’s said and done there’s one thing that’s for sure: I am an Ultimate Fan who’s earned one of the Rarest achievements on Xbox Live. It was always going to happen one day, I just didn’t expect it to be condensed into one week in February during the run up to Sea of Thieves. Speaking of which, who’s ready to set sail? 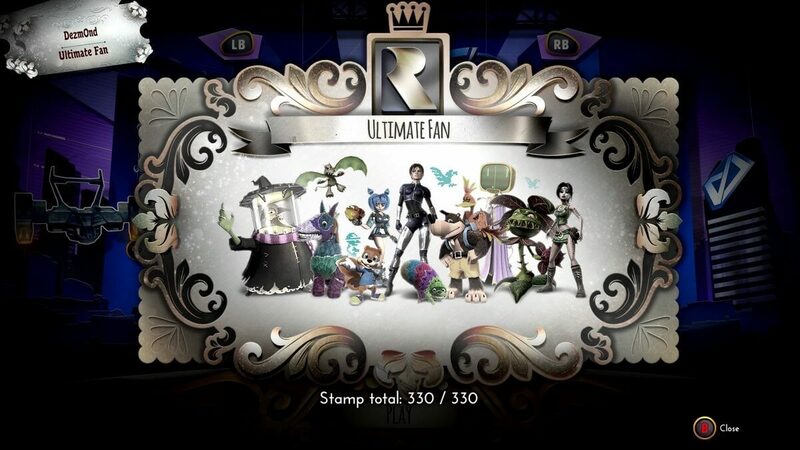 Rare Replay’s stamps are one heck of a challenge! Well done.